This website has been a labour of love. After many hours of dreaming and planning, it is so incredible to see it here! After speaking to my followers on social media and readers of my blog, I came to realise that the most important thing for them…for you…was to feel supported and part of a community. Secondly, there was a need for worthwhile, comprehensive curricula and resources, tailored to the Muslim homeschooling community. That is what this new website will endevour to provide you with. Our Muslim Homeschooling Community is Launching on 15th April! This comprehensive list details the best and most worthwhile resources available for Muslim homeschoolers. Whatever you’re looking for, take a look through our extensive collection of resources, all of which are tailored specifically to the Muslim community. Our private community forum is a safe space where you can share resources, seek advice, and connect with other Muslim homeschoolers around the globe. Whether you are looking for opinions on a curriculum, advice about time management, or trying to connect with other home educating families in your area, you will want to join our community forum! Newsletters you’ll want to read! This regular bulletin is jam-packed with the best and latest homeschool resources from all over the web. 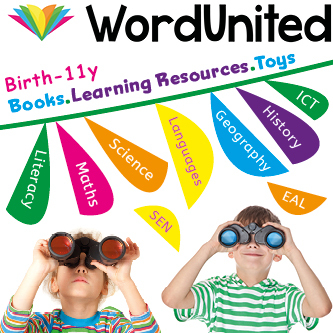 We spend hours every week, scouring the net, looking for the best websites, printables and eBooks to share with you. If you join our Homeschooling Community, you can be sure that you’ll never miss out! The Our Muslim Homeschooling Community officially launches on Saturday 15th April….just a few days away! If you sign up now, you will be in the first to have access to all the resources and the forum! Joining Our Community is completely FREE. Just enter your email address below to join! I look forward to seeing you in our community on 15th April! There are great things lined up for the blog over the coming months. We have several collaborations lined up with other Muslim mums and homeschoolers, so that you can learn from their insight and gain insight into other ways of homeschooling. In addition to this, I will continue to be bringing you curriculum reviews, day-in-the-life videos and GIVEAWAYS insha’Allah! If you are looking for useful, inspirational and insightful articles, take a look around our blog! This is a really new venture for me and I’m very excited! Over the coming months our shop will be stocking reading lists for each year group. These reading lists have been approved by qualified teachers, and will hopefully provide you with some guidance of what you should be reading to your children, as well as the books they will enjoy reading themselves insha’Allah. Literature is one of my passions, and I am so excited to share these reading lists with you. In addition to these reading lists, other homeschooling curriculum will also be available from Our Shop! We have so much great stuff lined up! It truly is a blessing to be launching this new site. For years I have dreamt of it, and now it is really here! I hope you will find the answers to your questions in Our blog or Our Community forum. If you do not, please feel free to contact me. You will get access to our private community forum and our extensive “1001 FREE Resources for Muslim Homeschoolers!” from the 15th April! I would love for you to join our community. I look forward to seeing you there insha’Allah.